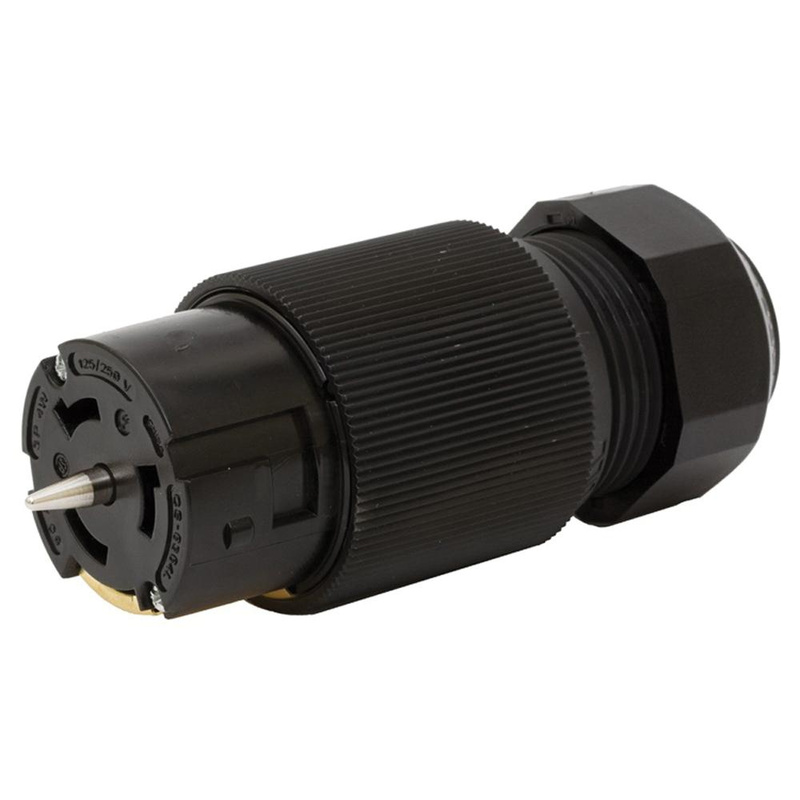 Hubbell-Wiring 4-Wire, 3-Pole standard locking female connector body is made with impact modified nylon for long life durability. It has voltage rating of 125/250-Volt AC and current rating of 50-Amps. It is suitable for heavy-duty industrial applications. Locking female connector body is UL listed, CSA/CE certified and meets Federal Specification.